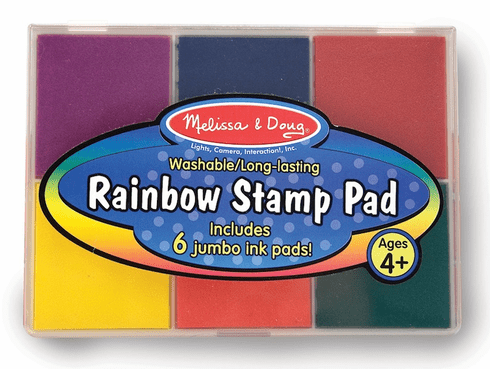 The stamp pad pairs well with any of your Melissa and Doug brand stamps or even other brands! Stamp ink is washable and pad is broken up into six different colored inks. Ages 4+ 6.5" x 5" x .75"